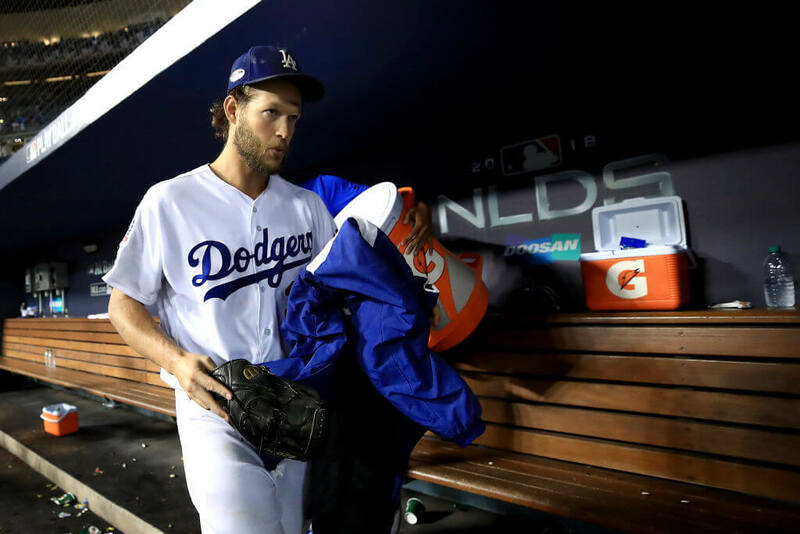 Is it possible that 2018 will be Clayton Kershaw’s last hurrah with the Los Angeles Dodgers? With two years left on his $215 million contract, it appears that the 30-year-old hurler will exercise his opt-out clause and test the free agent waters. After struggling through injuries the last few seasons, it’s unlikely Kershaw will get the same annual salary he would by staying with Los Angeles, but he will certainly get more years. Of course, the likelihood that he leaves the only city he’s ever known is unlikely. Even if he opts out as reported, we can’t see a scenario where ends up on another team. then again, he might end up with an offer he can’t refuse. He was born in Dallas, so maybe a Texas-sized reunion could be in the works? Over the course of his career, Kershaw has established himself as one of, if the not the best, pitcher in MLB. He has won three Cy Young Awards and was named the 2014 National League MVP. If there is any criticism about Kershaw, it’s that he has not always been at his best in the playoffs. In recent years, though, his playoff troubles have disappeared. Still, his lingering back issues might be more concerning. He has only started a full season once the last four seasons.